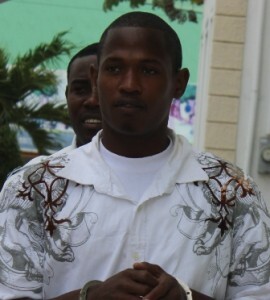 Twenty-three-year-old Leon Gomez has been on remand at the Belize Central Prison since April 2010, following the death of Salvador Martinez who was stabbed multiple times during an altercation among friends. Martinez was fatally injured at a football match at the MCC Grounds in January 2010. While Gomez has been languishing in pretrial detention for the past five years, he appeared for sentencing today, accompanied by attorney Alifa Elrington-Hyde, after being found guilty of the lesser charge of manslaughter. During his mitigation plea, five character witnesses, including Gomez’s mother, a sibling and a former primary school principal spoke on his behalf. They all described him as quiet and hardworking; his mother characterizing his role as a provider in their household. On his behalf, Gomez asked Justice Adolph Lucas for leniency since he never intended for the incident to result in Martinez’s death. According to Gomez, the time he has spent on remand has allowed him to reflect on the value of life. With that, he was assured that remission will be granted for time spent. Sentencing in the matter has been deferred to March third.